This year marked the 23rd annual amfAR Cinema Against AIDS Gala–the grande finale to the pomp and circumstance (and celebrity) of the star-studded Cannes Films Festival. The annual event attracts the likes of Leonardo DiCaprio, Katy Perry, Kevin Spacey and a revolving cast of millionaires, models and fashion industry heavyweights with the intention of raising funds in the fight against AIDS and HIV. This year, amfAR collected millions from the auctioning off of Damien Hirst sculptures, weekend getaways at DiCaprio's Palm Springs home, and Carine Roitfeld's highly anticipated 32-piece curated fashion show (with each disco-inspired look custom designed by a major fashion house). How compatible amfAR's mission is amidst these ephemeral displays of wealth, beauty and fame (the number of Harry Winston jewels present most likely outnumbered the guests in attendance), is definitely subject for debate. Despite the ostentatious nature of these charity events, however, the fashion community has long occupied a key role in philanthropic endeavors–from promoting the arts and young artists, to combatting world hunger and poverty. Included below are five major promoters for fashion with a cause, whose platforms have played a pivotal role in changing the landscape of fashion and charity around the world. 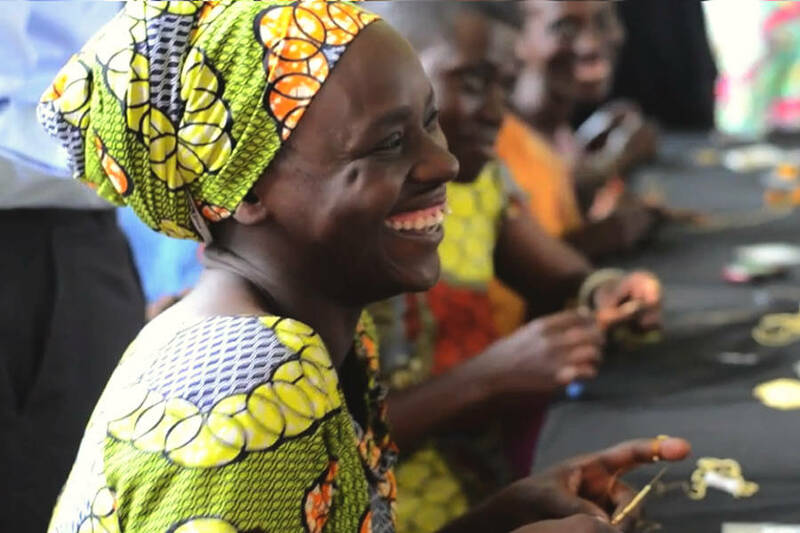 Same Sky Jewelry - Founded in the aftermath of the Rwandan genocide to employ local women in the art of handcrafted jewelry, Same Sky has since expanded its operations to New York City to offer opportunities for women after incarceration. Through these collectives, Same Sky aims to foster self-sufficiency and empowerment among female artisans through work-training and educational programs. According to their website "100% of net proceeds are reinvested to train and employ more artisans in need." FEED - Founded in 2007 by Lauren Bush Lauren with the central goal of fighting world hunger and breaking cycles of poverty caused by child malnutrition, the FEED Foundation employs local artisans under fair-labor conditions in cooperatives in Colombia, Gautemala, Haiti, India, Kenya and Peru. Each purchase from FEED is printed with the number of meals or micronutrients packets provided, with most products constructed entirely from environmentally friendly materials. Warby Parker - Created with intention of producing attractive and affordable eyewear, American brand Warby Parker also partners with non-profit organizations like VisionSpring to ensure that for every pair of glasses sold, another pair is donated to someone in need. In collaboration with Karlie Kloss, the brand has also donated to Edible Schoolyard NYC, a non-profit that develops healthy eating habits in low-income NYC public schools by building local gardens and kitchens. 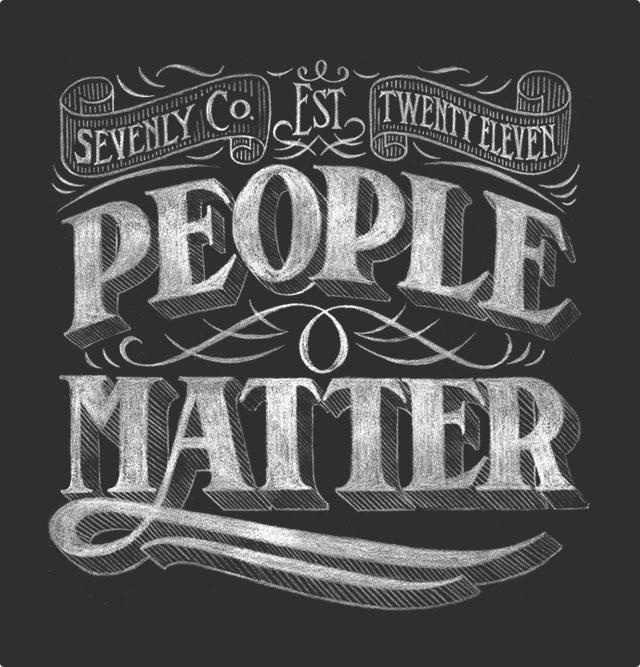 Sevenly - With campaigns that last daily to as long as a month, e-commerce site Sevenly partners with non-profits around the world to raise awareness for and fund a wide range of different causes. Since its founding in 2011, Sevenly has raised over 4 million dollars through its 'cause art' commissioned products. Brother Vellies - 2016 CFDA/Vogue Fashion Fund winner, Aurora James, founded Brother Vellies with the intention of introducing beloved styles of African footwear to a global audience. Handcrafted by artisans in South Africa, Kenya and Morocco, Brother Vellies ensures sustainable work practices and creates jobs while promoting the cultural impact of traditional African fashions.